Today on the podcast I'm talking with Matthew Pennybacker, a mathematician who studies patterns in plants. 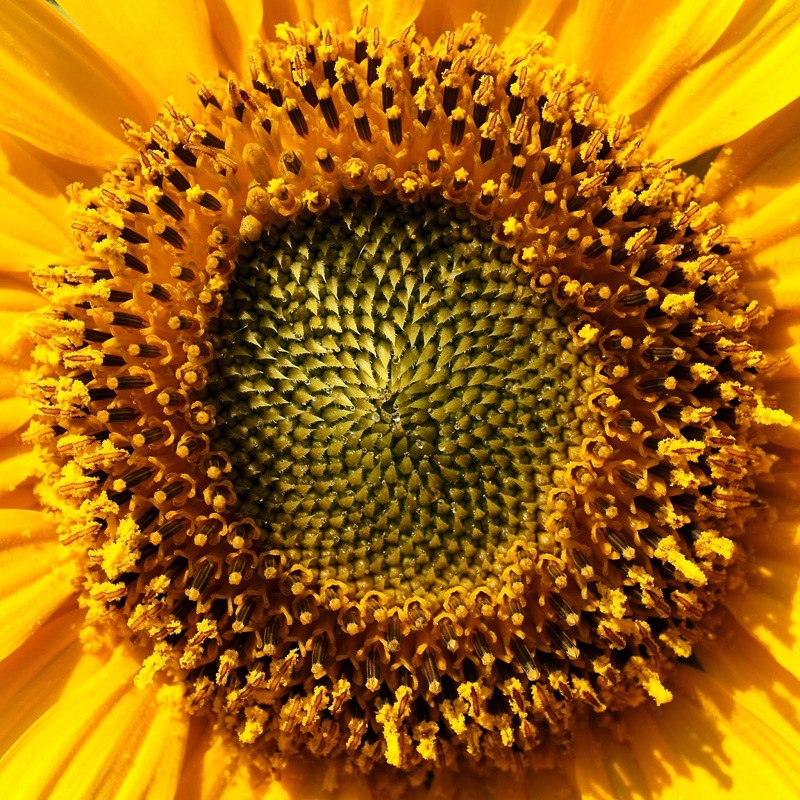 In his most recent work, Pennybacker and his colleague Alan Newel have provided a mathematical description of the beautiful, swirling patterns that we see in sunflower heads. 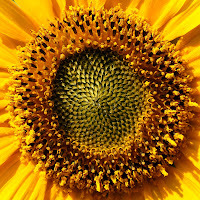 Notice that the spirals on the sunflower head go in two directions: clockwise and counterclockwise. The number of spirals going in either direction usually differs on a single flower, and the number of spirals certainly varies from flower to flower; BUT the spirals still follow a regular pattern*: the number of spirals are almost always variables from something called the Fibonacci sequence. The Fibonacci sequence starts with numbers 1 and 1, and then proceeds as such: each new number is the sum of the last two numbers. So the sequence goes: 1, 1, 2, 3, 5, 8, 13, 21, 34, 55, 89 and so on. Now why on earth would plants want to exhibit such a pattern in the way they organize their seeds? And how does the sunflower know that the seeds are being put in the right order? Listen to the podcast to find out! PLUS you'll hear how this mathematical understanding of plant patterns could actually teach us something about human development, convection in the atmosphere, and hard drives. To learn learn more about Fibonacci numbers, watch this video (and parts 2 and 3). *There is also variation in the prevalence of Fibonacci numbers among different species of sunflowers.